This post also appears on my personal blog, thedaysman.com, but seemed appropriate for this blog as well. Thank you for bringing your concern about your grade to my attention. The grade has been changed to the grade you felt you deserved, and was in fact the grade you earned. The discrepancy you noted regarding the group project was a valid one. The worksheet you say your friends don’t remember was a real one, however. When I went to complete the final grade sheet for the registrar, your worksheet was the only one missing so I recreated it on a piece of scrap paper, going back through various folders and assignments to find your grades, completing the worksheet for you. And I put down the wrong number for that assignment. It was a problem that was easy to find and correct. But I didn’t have to change your grade. If you miss a class and don’t complete a required worksheet, it’s not actually my responsibility to track you down. Or fill it out for you. But as I said throughout this process, I was happy to work with you to figure out what went wrong. And I’m happy it worked out the way you wanted it to. But clearly you weren’t happy. The tone of your emails was adversarial and you went straight to the dean. You were insistent that you were an A student and that you worked very hard. I would much rather have known that you learned something. 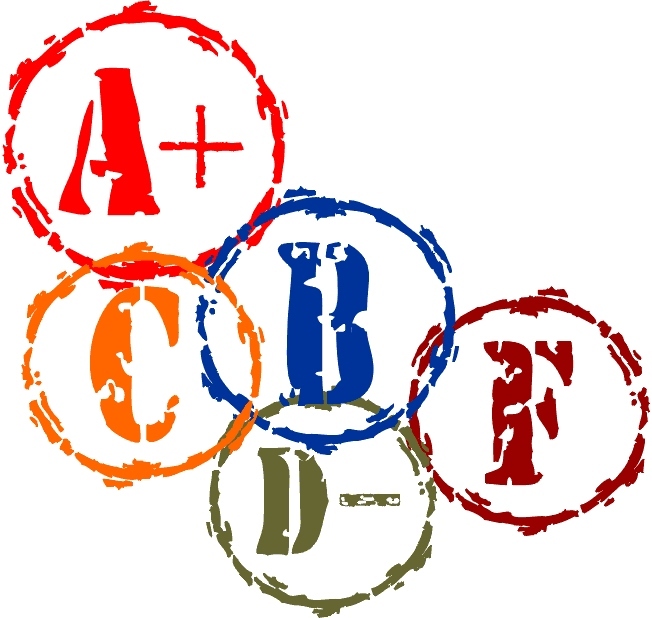 I understand there is often no connection between learning and grades, which is one reason I clearly don’t worry about them as much as you do. In fact, school often teaches us that the connection between effort and grades is more obvious. Students get lots of points for doing things they don’t necessarily understand or appreciate. In life, however, we can work very hard at something and still fail. The amount of effort is no measure of success and hardworking people fail as spouses, parents and bosses every day. They fail because they didn’t learn anything from their last mistake or because they didn’t apply a concept they had heard but did not understand. But mostly they fail because they have no sense of grace. Grace is important. It makes us patient and kind. It expresses gratitude and extends forgiveness. It embraces failure and disappointment, welcoming the opportunity to learn and understand. So I hope you can forgive me for being bad at math. Such grace will make both our lives better, but not easier. And of course I’d like to think you learned something. I am having a difficult time describing how much I love this post. You have a way with words, Dr. Metts.